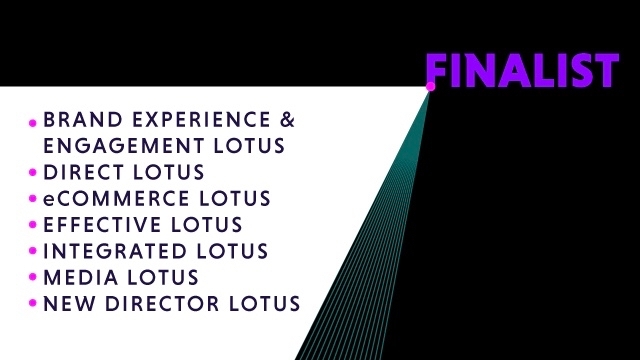 AdFest has just announced the 2019 finalists in the following categories: Brand Experience & Engagement, Direct, eCommerce, Effective, Integrated, Media and New Director. Dentsu Tokyo leads the agency pack in Brand Experience & Engagement with 5 finalists. Hakuhodo Kettle Tokyo has two finalists in Direct Lotus. In eCommerce Hakuho Tokyo, Inspire Integrated Marketing and Communications Shanghai, AKQA Shanghai, Gigil Manila and Tecent Shenzen all have one finalist each. In Effective Lotus McCann Worldgroup Shanghai, Hakuhodo Kettle Tokyo, The Sour Bangkok, Tecent Shenzen and TBWA\Santiago Mangada Puno Malia have one finalist each. In Integrated Lotus X-Line Taipei, Hakuhodo Kettle Tokyo and J. Walter Thompson Bangkok have one finalist each. ADK Creative One Tokyo leads with three finalists in Media.